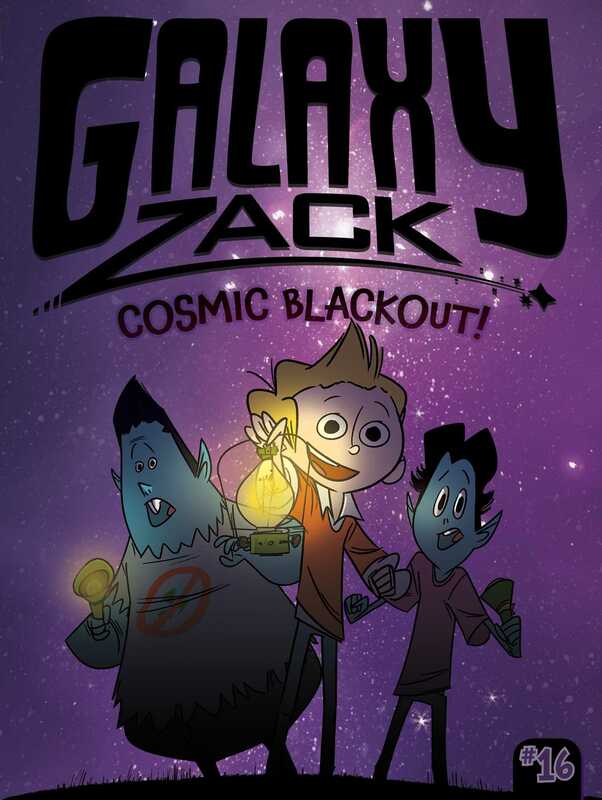 In this sixteenth Galaxy Zack adventure, Nebulon falls into a complete cosmic blackout! Zack loves everything about his new planet, Nebulon. There’s Ira, his Indoor Robotic Assistant, who makes him delicious food every day. There’s Zack’s hyperphone for playing games with friends. Even his desk at school is pretty grape. But Zack wakes up one morning to discover that everything awesome about his new planet is out of order. Nebulon has fallen into a complete cosmic blackout. Without power, how will Zack and his friends ever get through the day? Book Cover Image (jpg): Cosmic Blackout!